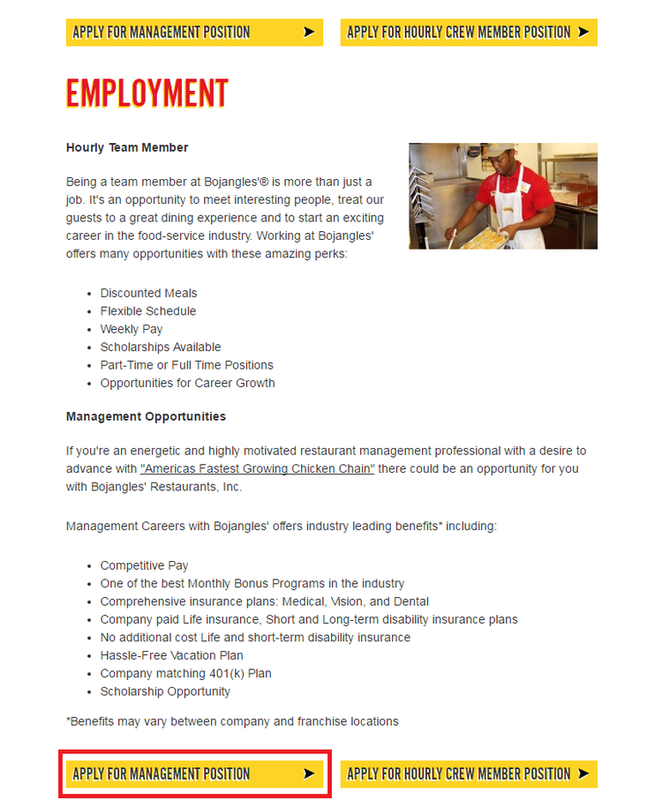 Visit bojangles.com/about/employment page. There are two different kinds of job opportunities, one is hourly team member, and the other is management opportunities. The brief descriptions and employee benefits are listed on the page. You can view the information and then make your choice. Once you have made a decision, click the related entry for the application to view job opportunities of this kind of job. 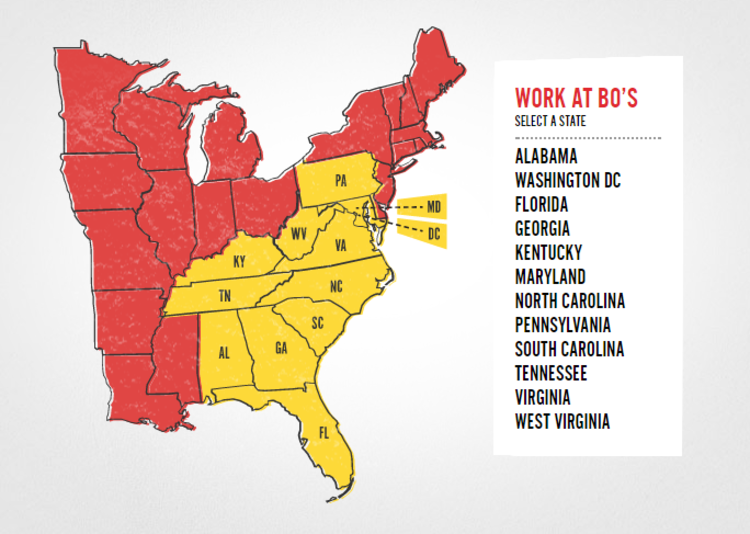 On this page, you will see a list of all states that currently offer job openings for job-seekers of Bojangles’. Just select the one you want to work in most and click on the title to move on. 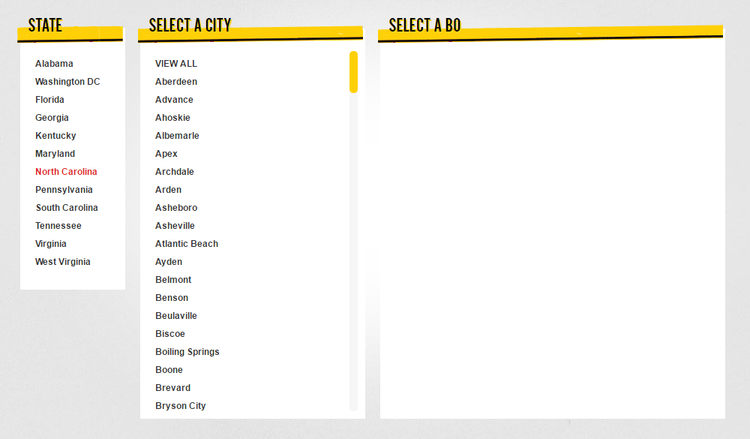 After selecting the state you want to work in, you also need to select a city in the state. 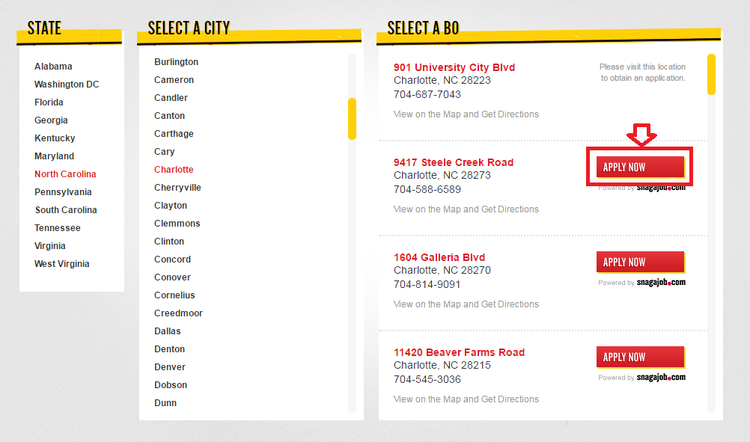 The cities that need new employees for Bojangles' are listed here. Choose a proper one and click to go on. The matched stores for the city you have selected are listed. For some stores, you can only visit the location to obtain an application; for the others, you can both visit the location and apply online. 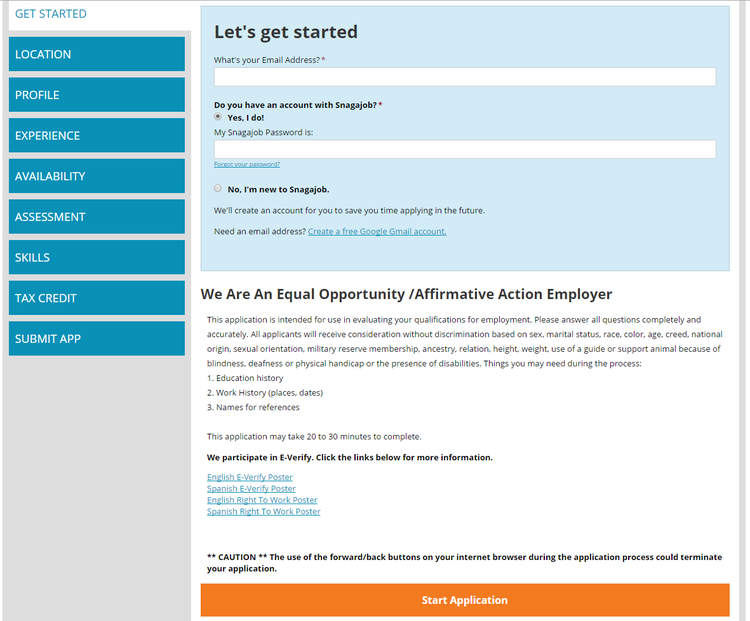 For stores that do not support online application, you can bring your resume, go to the store to apply a job. For stores supporting online application, just continue. Click “apply now”. 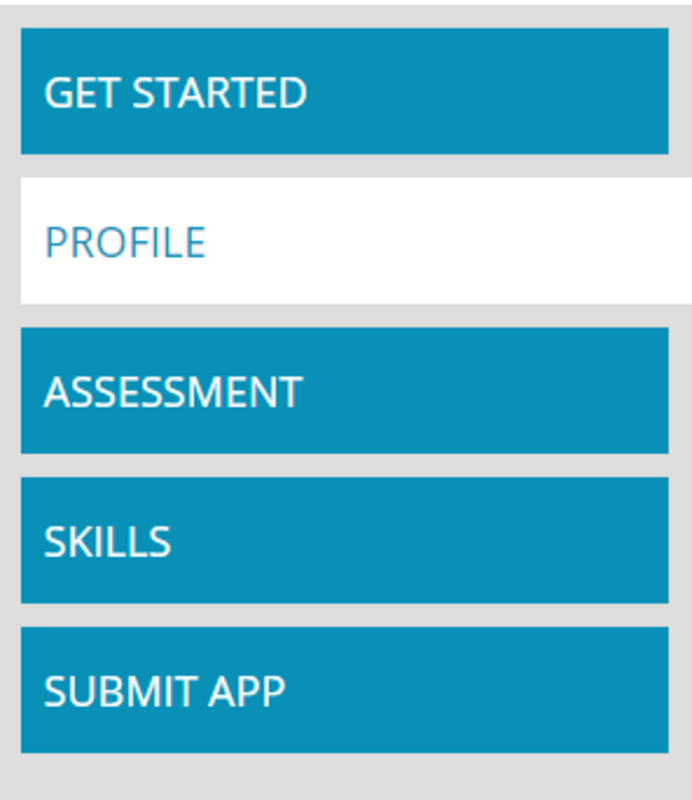 Before starting application for the position you like most, you are asked to create a personal profile. For the returning applicants who have already created an account with Bojangles', they just need enter the email and password to log in. For new users, they need to create the account first by following online guidance. You need to fill in your profile, assessment and skills before submitting your application, thus the recruiters will better assess your qualifications for the position you applied. Just follow the instructions it gives to finish your online application step by step. Click bojangles.com/application to apply for Bojangles' jobs online.